This August, the long-awaited consecration of the Surmang Shedra will take place. This will be a festive occasion with music and dance as well as dharma teachings August 3-5, with additional teachings offered on August 6-7. Thousands of local Tibetans will attend and the Twelfth Trungpa, Chökyi Senge Rinpoche, has personally invited Konchok donors and sangha members. If you are interested in attending the Surmang Shedra consecration, please contact the Tibetan-owned travel company, Conscious Journeys, to make travel arrangements. 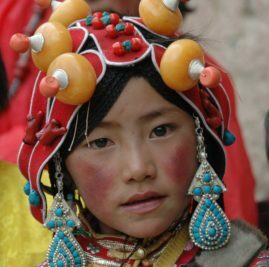 Conscious Journeys, which is licensed to take foreign visitors into Tibet, has organized previous visits to Surmang, and they have created a wonderful two-week itinerary to the Surmang region for the consecration. Space is limited so be sure to contact them by March 1st if you would like to join us for the celebrations. Travel to remote areas of Tibet is a complex process, and advanced planning through a licensed company is essential to make the process as smooth as possible for all involved. For that reason, we ask that all people who would like to attend the consecration register through Conscious Journeys. RSVP to [email protected] and he will email you a link where you can attend over the internet and also a phone number by which you can call in instead if you prefer. Even if you can’t attend the consecration, please offer your support to Surmang by contributing to the Shedra’s launch and supporting monastic education in eastern Tibet. Thank you to all who have sustained this project and helped to bring it to this culminating moment!